Thank you for considering the North Coast State Forest Coalition’s comments on FY2017 Annual Operations Plans for the Tillamook, Astoria, and Forest Grove Districts. We appreciate the time and care that went into these AOPs and would encourage Salem and district staff to engage us regarding any of our remarks below. Several remarks are similar or identical to those made by our Coalition regarding previous AOPs and reflect ongoing themes in the yearly plans that we would like to see addressed. Our primary concern with these AOPs is the significant increase in clearcut acreage on all three districts. Meanwhile partial cut ranges have been decreased on all three districts (to a low of 0 acres in the Forest Grove and Tillamook Districts and 100 acres in the Astoria District). Clearcutting and associated activities are often detrimental to fish & wildlife habitat, clean drinking water, public health, and slope stability. This move from a balance between thinning and clearcutting has been explained in Appendix G of all three AOPs, but signals a lack of available acres for partial cuts and calls to question the overall sustainability of harvest levels and the ability to grow various forest structures across the landscape. State forest clearcutting contributes minimal habitat value on the north coast, while thinning has the potential to contribute to harvest levels and habitat value simultaneously. If this move is primarily driven by a lack of thinning opportunities, it would be desirable to know when those opportunities will reemerge. If this is a long term concern, harvest levels should be lowered. If this move is driven by the economics of clearcutting vs. thinning, we would urge you to not only consider the environmental and social impacts of clearcutting, but also review a recent publication by the USDA which indicates the habitat and timber value increases associated with thinning in the coast range: Effect of Habitat-Improvement Thinnings on Lumber Products from Coastal Douglas-fir by Dennis P. Dykstra, Patricia K. Lebow, Stephen Pilkerton, R. James Barbour, Susan Stevens Hummel, and Stuart R. Johnston, April 2016 (http://www.fs.fed.us/pnw/pubs/pnw_rp605.pdf?). The amount of aerial pesticide application is troubling. Pesticide drift can cause public health problems and pesticides that find their way into waterways degrade water quality for humans and aquatic wildlife. These AOPs indicate that site preparation and vegetation management will require nearly 5,000 acres to be sprayed, much of it aerially. For public lands, this is unacceptable. The massive road network across all three districts continues to grow. The AOPs indicate a net increase of 24.5 miles to the already dense road network. While road improvement is welcome, we believe that the road network should be reduced to improve watershed health. High road density has been shown to contribute to habitat degradation. The density on private land holdings in these watersheds is also very high and ODF holdings should mitigate for the private road network. Furthermore, an ever increasing road network footprint decreases land for marketable timber. We are glad to see that district staff is contributing its time and expertise to help with inventory questions which are critical to any long term planning. Accurate inventory and growth data is obviously a priority. It is disappointing that the FY2017 AOPs only support base level maintenance of existing recreational infrastructure due to budget constraints. We will continue to advocate for supplemental financial support and alternative revenue sources for important recreation programs and we urge the Department to do the same. 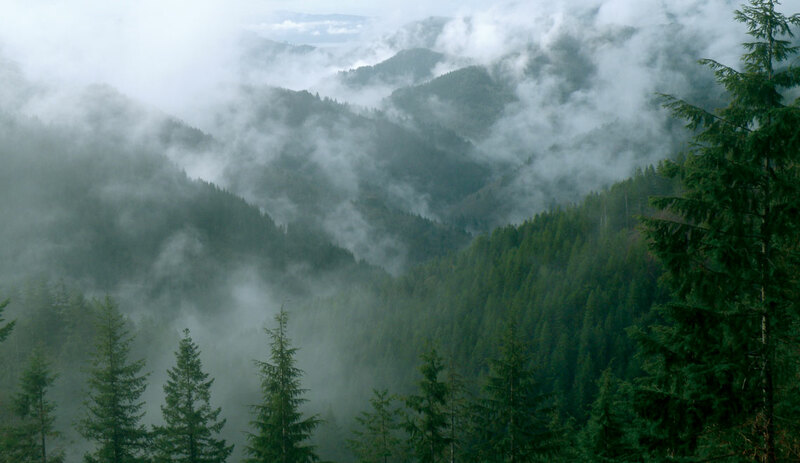 We are excited for an updated version of the Tillamook State Forest Recreation Map and would be keen to support the Department in this venture. It is welcome to see no planned clearcuts in Terrestrial Anchor Sites. There are high clearcut levels in several Aquatic Anchors, including Buster Creek, Upper North Fork Nehalem, Lousignont Creek/Upper Nehalem (nearly 1000 clearcut acres), East Fork South Trask, and Little North Fork Wilson. These areas are obviously critical for a variety of fish species. While slightly improved buffers are welcome in AAs, we would recommend focusing harvest away from these anchors. All three districts note extensive plans for mountain beaver We understand the importance of protecting young trees. The Forest Grove District remarks that mountain beaver populations are increasing and are historically high. It may be beneficial to examine the causes of this rather than only focus on trapping. We encourage the Department to support the Salmonberry Trail project, but we would request that the Salmonberry conservation commitments and their promotion be a priority. We urge you to take seriously and follow the recommendations in the ODFW Biologist Review. Policy Bulletin SFB 13-02 runs counter to the ODFW recommendations that “GTs should be avoided in or adjacent to RMAs and GTAs as their functions as structural components are minimized.” The proper scientific function of green trees and snags should certainly take priority over “efficient harvest units.” The Policy Bulletin is only referenced in the Tillamook AOP, but the ODFW recommendations are found across all three Districts. We encourage the Department to be aggressive in seeking restoration project opportunities. To our mind, it is unfortunate that these important projects are only done opportunistically. Watershed restoration should be a priority. We are keen to better understand the Major Modification to the IP as described in Appendix F and would like to meet with ODF staff to discuss the modification. The amount of 76-100 year old acres being replaced by 26-50 year old acres in the DFC Complex allotment is concerning. Area 1 of Rector Quad appears to offer uncommon habitat type as a mixed age stand with older trees. We would like to view this sale with ODF staff to understand the forest structure and prescription better. This sale also includes management activity within ¼ mile of a marbled murrelet management area. The Astoria District AOP is unique in that it explicitly omits right-of-way acres for new road construction in harvest acreage (page 4). This seems counterintuitive as those acres are typically logged before road construction and no longer offer conservation value. We would like to know if this practice is the same for the Tillamook and Forest Grove Districts. We are keen to better understand the Major Modification to the IP as described in Appendix F and would like to meet with ODF staff to discuss the modification. We are keen to better understand the Major Modification to the IP as described in Appendix F and would like to meet with ODF staff to discuss the modification. It would be helpful to have the type of information that the Tillamook and Clatsop District AOPs articulate in Figures 1 and 2 of Appendix F.
My Mulligan, Mega Lou Mania, and Step Over are all located near Lousignont Creek, a spawning stream for coastal coho salmon. These sales also include clearcutting relatively old forest stands. We are interested in learning more about these operations. It is concerning to see expansive clearcutting of old stands in this Aquatic Anchor.